and across the UK and Europe. Let me work with you to create a truly bespoke, precious and memorable occasion. Congratulations!!! If you’re on here, you’re looking for a wedding celebrant. Therefore, you must be planning your wedding, how exciting!! 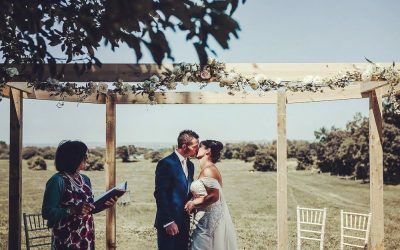 Choosing a celebrant led-wedding means you value the importance of having a wedding ceremony that reflects who you are as a couple. In other words, your uniqueness, your individuality and your story. 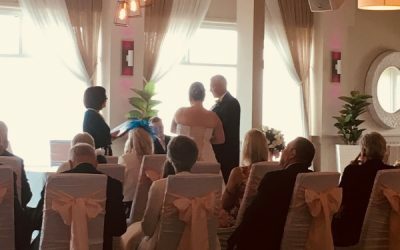 We will work closely together to craft the wedding ceremony that is perfect for you, to ensure lasting and happy memories of your special day. As an English teacher, I’d often been asked to speak at, or lead the weddings of friends and family. It was something I really loved and enjoyed doing. So, after celebrating my daughter’s amazing tipi wedding, I decided it was time to take the plunge and become a Family Celebrant. I love it. I get to meet some amazing couples. I spend time with them, to understand their wants, in order to craft and deliver the perfect ceremony for them. My gallery page reflects the joy and happiness created! I live with my partner, Brian and have three grown-up children. Three years ago I became a grandmother for the first time. However, since then two more have been added to the ‘clan’. Family is very important to me, it’s where I enjoy my time and therefore make my fondest memories. Working with couples and families to create their special memories is such a privilege. In fact I can’t believe how much I love every aspect of what I do! Just how lucky am I? Check out my Weddings page for lots of tips, ideas and inspiration. I love writing my blog. I try and answer many of the questions that I get asked on it. In addition, I share tips, ideas and beautiful moments from my wedding ceremonies. In other words, I try to make it useful to you. 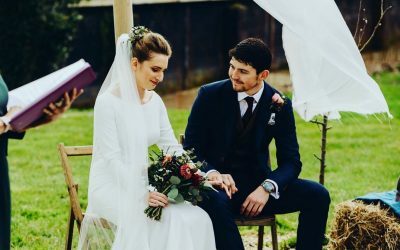 Your Wedding Ceremony – Read or Repeat the Vows? I celebrate diversity, inclusivity, quirkiness and individuality. If you like what you see on my website and would like a little more information, please complete the contact me page on this website. Alternatively, if you prefer to chat on the phone, just give me a ring at any time on 07530 570 943. Just amazing, I’m blown away, thank you Carol, you have really captured who we are as a couple.! You spent time and effort to get to know us and produce a ceremony that fitted us perfectly. Thank you for your patience, help and support. Again, many thanks for your services on our special day. Many people remarked on how good your service was. Thank you so much Carol for such an amazing day, the words were so special and all meant the absolute world to me! Graham was so surprised and hasn't stopped talking about how amazing you were! 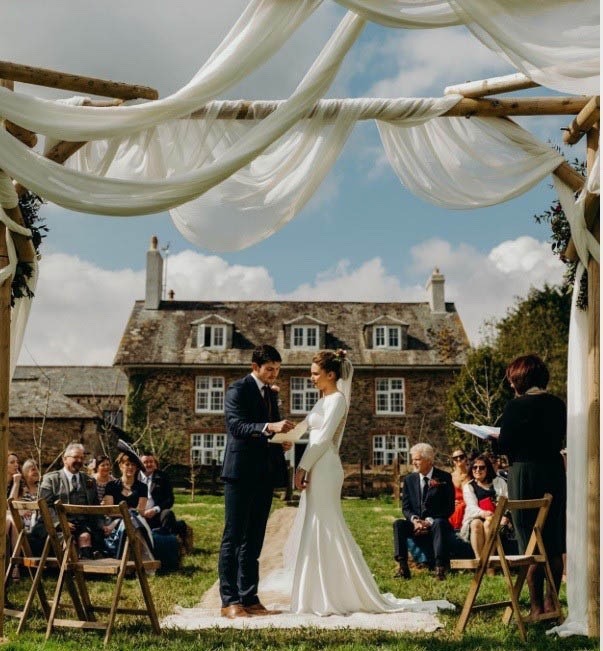 Thank you so much for helping make our ceremony perfect for us – it was exactly as we wanted! I have attached a couple of pics, we are over the moon!